Find your contacts faster and more efficiently with smart and predictive search capabilities. 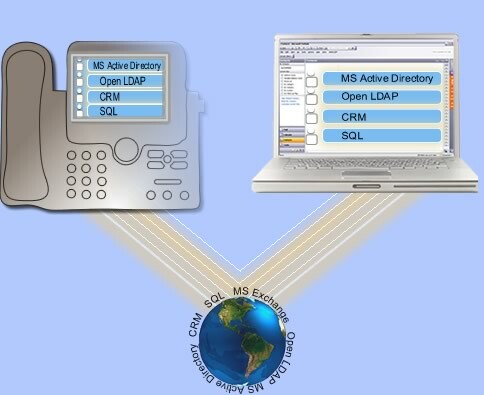 Quick Click–to–Dial: dial from e–mail, browsers, instant messenger clients (like Office Communicator), and phones. FULL SUPPORT OF CISCO JABBER CLIENT. Intelligently handle calls: answer & end calls; place calls on hold; or deflect calls to your mobile, all from your PC.